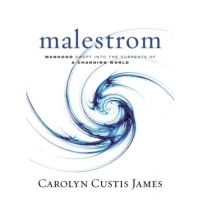 In Malestrom: Manhood Swept into the Currents of a Changing World, Carolyn Custis James explores the western perspective on manhood, comparing it to a maelstrom where masculinity, patriarchy, power games are linked to violent conflicts in the world, homes and families, churches and politics. She changed maelstrom to malestrom to focus on the dark side of manhood. Is the Bible teaching patriarchy, ruling men over women, and bearing sons as life’s goal? Carolyn Custis James goes all the way from Genesis 1 to the lives of Jesus Christ, Paul and Matthew to prove the contrary. Imago Dei, all humans (male and female) are image bearers of God. That was God’s goal in creating us (Genesis 1, 2) before our downfall from Paradise. It’s the higher goal Abraham was looking for. The author has many convincing examples from Abraham, Jacob, Judah, Dinah, Deborah, Jael, Ruth and Boaz in the Old Testament. We men are not inherently or irreversibly violent, relationally incompetent, emotionally constipated, and sexually compulsive. Men have lost sight of who God created them to be as human beings and as men. Widening the discussion beyond Bible study groups, churches up to a global level not only gives us greater respect for the complexities that men and boys are facing, it also means we cannot get away with simplistic solutions men everywhere can’t count on that are ultimately hurtful. Malestrom is graceful, biblical founded, seeking answers while generating new questions as well. Questions for further discussion are provided in each chapter. Highly recommended for both female and male readers. Carolyn Custis James (MA, Biblical Studies) travels extensively as a popular speaker for women’s conferences, churches, colleges, seminaries, and other Christian organizations. Her ministry organization, WhitbyForum, promotes thoughtful biblical discussion to help men and women serve God together. Carolyn founded and is president of the Synergy Women’s Network. She is a consulting editor for Zondervan’s Exegetical Commentary Series on the New Testament and author of When Life and Beliefs Collide and Lost Women of the Bible. Carolyn and her husband live in Sellersville, Pennsylvania. They have one grown daughter. Ginny Owens & Andrew Greer – Transcending Mysteries: Who Is God, and What Does He Want from Us?